Schedules | My kitchen musings! Yea, I’m not so much a scheduler. Which is funny because I taught college courses for about three years while I was a grad student and I also was a tenth grade teacher of English and History. I have quite the storied life. And while these professions would, you’d think, lend themselves to being structured and scheduled, I must admit my best work was by my seat of my pants. That went pretty much for my academic career (and professional as I also was a food reviewer for a local magazine where I lived before moving to PR). If I wasn’t right up to deadline I really wasn’t invested in the product I was putting out. I’d say this had good and bad qualities with it. I mean even to this day, it’s 9.05 pm and I’m just now getting around to blogging. Granted I’m dealing with sleep training that is failing and a baby that refused to nap today until 2 in the afternoon, but it’s still last minute. Which brings me to scheduling and that beautiful baby who won’t sleep. From the beginning I read books. Lots of books. Swaddling vs non swaddling. Paci vs no paci. Feeding on demand vs scheduled feedings. Attachment parenting vs ?? Can’t think of it. 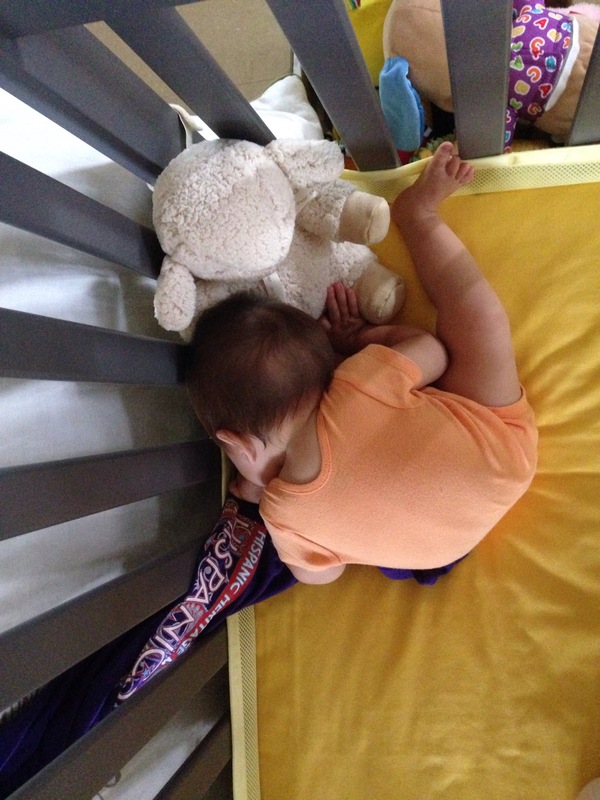 Co sleeping vs independent sleeping. And my head just exploded. This is my first so of course I was scared s$&@less but thankfully being older (and I’d like to think wiser- ha!) I decided to just go with the flow. And it worked out great. Gabriela was (IS) a happy, engaged, pleasant, easy going baby. We could drive all around town (or Puerto Rico) and she’d just enjoy the ride. Living in Puerto Rico everyone wants to say hello and chat a bit and having a baby in tow added to that desire to converse and Gabi complied with coos and smiles, which just enchanted the locals. We loved/love it. And her daytime naps? Awesome! If she was being held. Yes. We were those people. And we still are. And this week I have started ‘sleep training’ her – the gentle, no cry version- and it’s driving me bonkers. Plus I’m sure it’s not helping that her first molar is STILL creeping in. Devil teeth. In doing this ‘training’ I’ve realized that we don’t really have a schedule. I could get very detailed about what ours days look like but that’ll be boring. Needless to say, everyday consisted of baby girl being held for her naps (which, just for the record, I absolutely LOVE it!). But productivity was low. Schedules and boundaries were needed. Hence the training started this week. But things still don’t go according to plan. Like today. Sunshine was up at 6.30 and didn’t take her (held) nap until 2.00pm today. (I must note, however, that she did snooze a bit BY HERSELF. In her crib!) 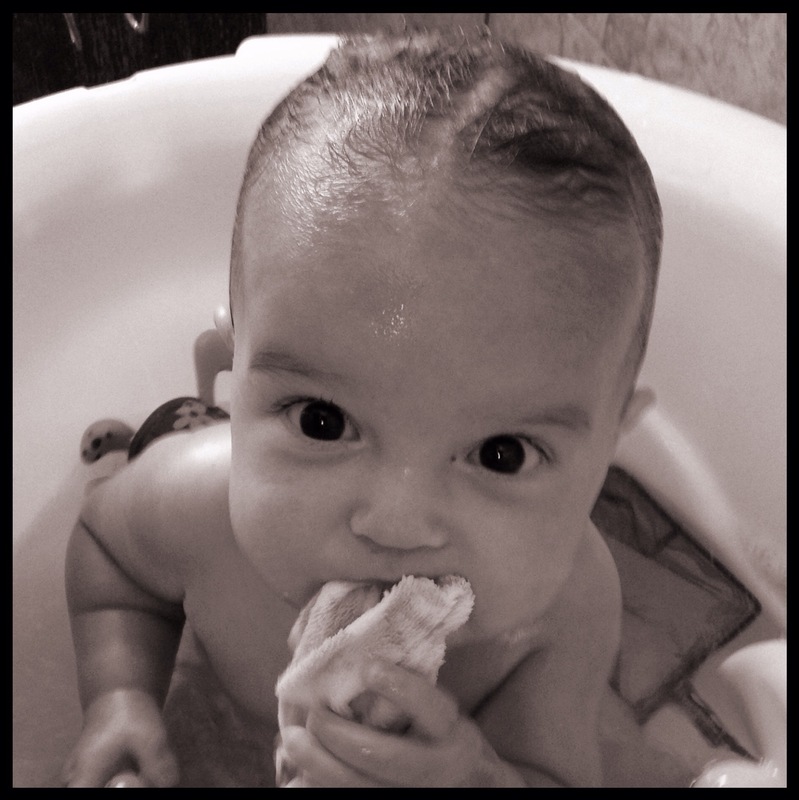 Which then led to a late dip in her pool, then a bath, and a feeding, which made everything way behind schedule. still trying to figure out the whole napping thing. At least she’s asleep! Everything worked out how it should. I just have it in my head that certain things have to happen at certain times. And while that is true, I’m slowly beginning to realize that that’s not how I now live my life. So Gabi’s nap was late; her feeding was late; her bedtime was late. But she got to swim, and see moo cows, and I got to spend one on one time splashing around with my girl. There’s a time and place for schedules. And there’s a time and place for letting life unfold as it should. I’m looking to find that happy medium. The downside today though: no real dinner. Instead, a Bagel with cream cheese. But still yum!